With the recent publication of the Living Planet Report 2018 there have been some stark headlines about the decline in wildlife populations globally over the last few decades. But some people might be wondering how these statistics are generated and what the numbers in the headlines actually mean. Developing a single measure for global biodiversity is a challenge. Biodiversity is a complex and multi-layered concept that encompasses all species, ecosystems and genetic diversity on the planet. Even if we focus on just the species, there are many ways to measure how their status has changed over time. Have species numbers declined? Are they distributed differently than they were before? Have the ways they are associated with one another changed? Are any of them more at risk of extinction? How can we capture all of these measures in one simple graph? The short answer is, we can’t. Much like GDP is used as a proxy for measuring the wealth of a country, indicators based on a single metric depict trends in just one aspect of biodiversity rather than providing a complete picture of biodiversity as a whole. Monitoring species is often a relatively straightforward method of measuring one aspect of biodiversity change compared to measuring trends in ecosystem structure and function, for example. What’s more, humans have been recording and counting species for many decades and so there is a wealth of data available to capture trends through time. Of all species, vertebrates are arguably the best studied group and of these, birds have historically been the most popular animal to survey. Species monitoring data form the basis of the Living Planet Index (LPI), the biodiversity indicator at the heart of the Living Planet Report. Below is a brief visual guide to interpreting an LPI trend. Explanations of the most important terms needed to understand the Living Planet Index. From WWF. 2018. Living Planet Report - 2018: Aiming Higher. Grooten, M. and Almond, R.E.A.(Eds). WWF, Gland, Switzerland. The LPI tracks trends in abundance of a large number of populations of vertebrate species in much the same way that a stock market index tracks the value of a set of shares or a retail price index tracks the cost of a basket of consumer goods. The 2018 Living Planet Index is based on time-series data for 16,704 populations of 4,005 species of mammal, bird, reptile, amphibian and fish from around the globe. And we are continuously adding data! The data used in constructing the index are time-series of either population size, density (population size per unit area), abundance (number of individuals per sample) or a proxy of abundance; for example, the number of nests or breeding pairs recorded may be used instead of a direct population count. Data are gathered from a variety of sources such as journal articles detailing specific ecological studies, online databases and government reports. While an LPI can be calculated using data from any species, the current approach focuses only on vertebrate species because these are groups that have been monitored more consistently and for longer (you can read here about the work we are doing to get invertebrates onto the global conservation map too). Still, only 6.4% of the estimated 62,839 vertebrate species that have been described globally are represented in the LPI. But as scientists deploy and develop new methods and technologies to monitor species in remote locations, we are able to fill in the gaps in our knowledge. An illustration of the most common techniques for monitoring species: 1) Boat surveys; 2) Tracking devices; 3) Camera traps; 4) Direct counts; 5) Counting tracks; 6) Remote sensing. Using a method developed by ZSL and WWF, species population trends are aggregated and weighted to produce the different Living Planet Indices between 1970 and 2014. We have developed this approach to make the indicator more representative of vertebrate biodiversity. The LPI dataset is not uniformly distributed across regions and species; birds and mammals are best represented, particularly in the Nearctic and Palearctic region, whilst data for other groups are scarce. Indices are therefore calculated based on a system of weighting that reflects the actual number and distribution of vertebrate species in the world, rather than the number of species present in our dataset. The result from the latest Living Planet Report shows that globally, monitored populations of birds, mammals, fish, reptiles and amphibians have declined in abundance by 60% on average during this 44-year period. Does this mean we have lost 60% of animals? Well, luckily, no! LPI results are calculations of average trends. An average trend in population change is not an average of total numbers of animals lost. In the case of the global LPI, some populations and species are faring worse than a 60% decline whereas others are not declining as much or are increasing. In fact, the number of species that show positive and negative trends within the LPI data are more or less equal. This means that the magnitude of the declining trends exceeds that of the increasing trends in order to result in an average decline for the global LPI. This also suggests that the global LPI is not being driven by just a few very threatened species, but that there are a large number of species in each group (almost 50%) that together produce an average declining trend. The Living Planet Report 2018 results indicate that species are faring much worse in freshwater systems and in tropical realms. Freshwater populations declined by an average of 83%, while realms - large regions separated by major barriers to plant and animal migration and therefore characterized by distinct assemblages of species - declined by between 23% and 89%, with the Neotropical and Indo-Pacific realms showing the steepest declines (89% and 64%, respectively). Amid the alarming statistics, however, there are examples of success stories where conservation intervention has resulted in the recovery of specific species populations such as the Loggerhead turtle in South Africa’s Simangaliso Wetland Park, the Eurasian lynx in France and the Eurasian beaver in Poland. Global population numbers for tigers and pandas have increased, and so has the extent of marine protected areas that now cover over 7% of the ocean. 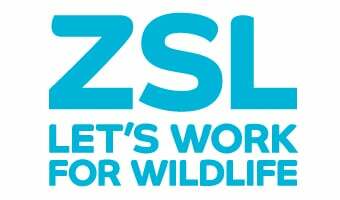 If you are in London and are interested in knowing more about the Living Planet Report and the data behind it, do join us at ZSL on November 13th for a series of talks on The Living Planet Report 2018: current trends and future targets for biodiversity. The event will open a discussion about what the next steps should be at this pivotal time for wildlife conservation. The next 2 years, ahead of the deadline for the Aichi Biodiversity Targets set out in the Strategic Plan for Biodiversity 2011–2020, offer an opportunity to define the scientific agenda and set future targets to tackle the current pressures on our planet. Having identified the many threats to wildlife, what direction should conservation science take to reduce the rate of biodiversity decline? In the meantime, you can read the full report, delve into the details of the LPI methodology by reading the technical supplement or watch this helpful video that summarises the report’s main findings.